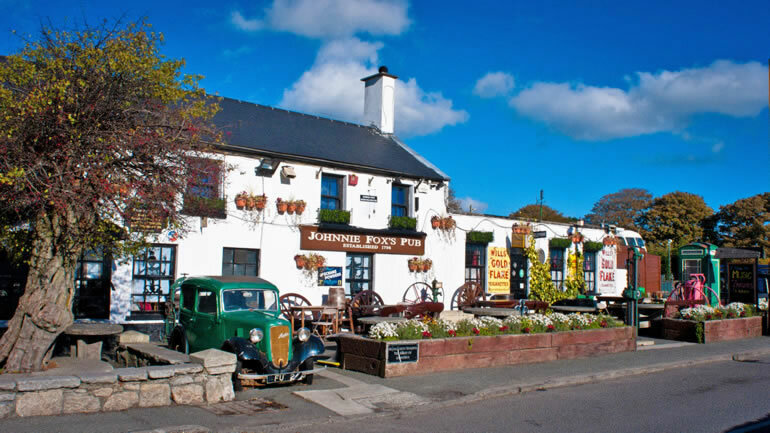 Situated near the top of the Dublin mountains in Glencullen, Johnny Foxes Dublin pub is one of Ireland’s oldest traditional Irish pubs and is believed to be the highest pub in the country. It is about 25-35 minutes drive from Dublin City centre. 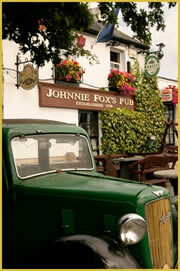 Johnnie Fox’s has Traditional Irish Music every night and on Saturday and Sunday afternoons. There are also some large bands that play throughout the year on selected dates and the famous ‘Hooley Night’ – dinner & show and Irish dancing should not be missed. As well as being a great pub Johnny Foxes Dublin also has an excellent restaurant specializing in Seafood but it serves great steaks too. The famous Daniel O’Connell was a regular visitor to Johnnie Fox’s when he lived in Glencullen in the early 1800s. Many of the features of the early pub are preserved at Johnnie Fox’s giving it an authentic traditional feel.